Last date for receipt of applications is 4.00 PM of 31st July 2017. Apply on-line, take a print out of the same and submit along with copies of all the relevant certificates, testimonials in support of qualification and experience prescribed for the post to the below address. Limited, III Floor, BMTC Complex, K.H.Road, Shanthinagar, Bangalore 560027. 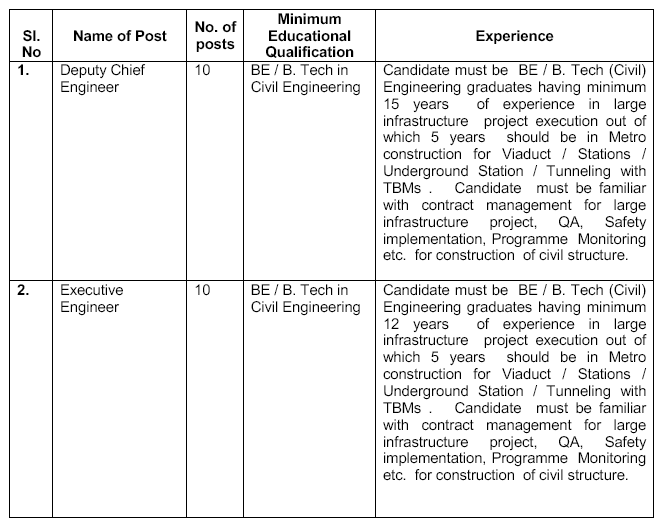 For Further Details visit the BMRCL website and go through the Official Notification before applying for the post.